The holiday season is responsible for a substantial portion of many brand’s total sales. It’s a season of buying, giving, receiving and (if you’re smart) giving away. Your prospective customers are on the look out for deals (after all, the holidays are also the season of empty bank accounts). That means it’s the best time to turn prospective customers into leads and sales. And a Christmas contest is the best way to do just that. If you’re looking for a strategy guide for how to run a successful contest, you’re not going to find it here. (We do have that resource, of course, at How to Run a Successful Contest: A Step-by-Step Guide ). No, this article will instead give you 30 Christmas contest ideas. I’ll give you the headlines, subheadlines and a free stock image you can download and use right away. Everything in this article is meant to be copied, pasted and taken to the Christmas bank. #1. Fill the kitchen with Christmas! Enter for a chance to win the ultimate Christmas baking set, including a Kitchenaid mixer, Christmas recipe book, ingredients and more! #2. Fight back this season! Christmas is a time for festive cheer, not the cold! Fight back by entering for a chance to win this complete cold and flu season preparedness pack! #3. Get on the slopes! Now until December 31st, enter for a chance to win a night at the AcmePeak resort alongside lift passes for two! #4. The Season of Light! Enter for a chance to win a professional Christmas light decoration to light up the season! #5. Get kitted out this Christmas! The powder is here! Enter for a chance to be completely kitted out for the mountain this year! 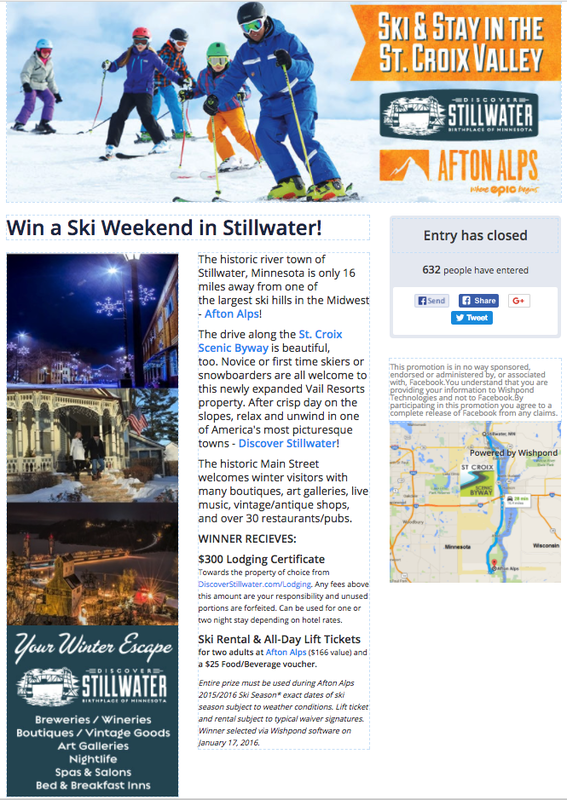 Prize package valued at $1200 and includes skis, jacket, snow-pants and goggles! #6. Tired of the Christmas rush? Enter for a chance to rest and relax! Enter now for a chance to win a relaxing weekend away for two, this Christmas at AcmeSpa! #7. 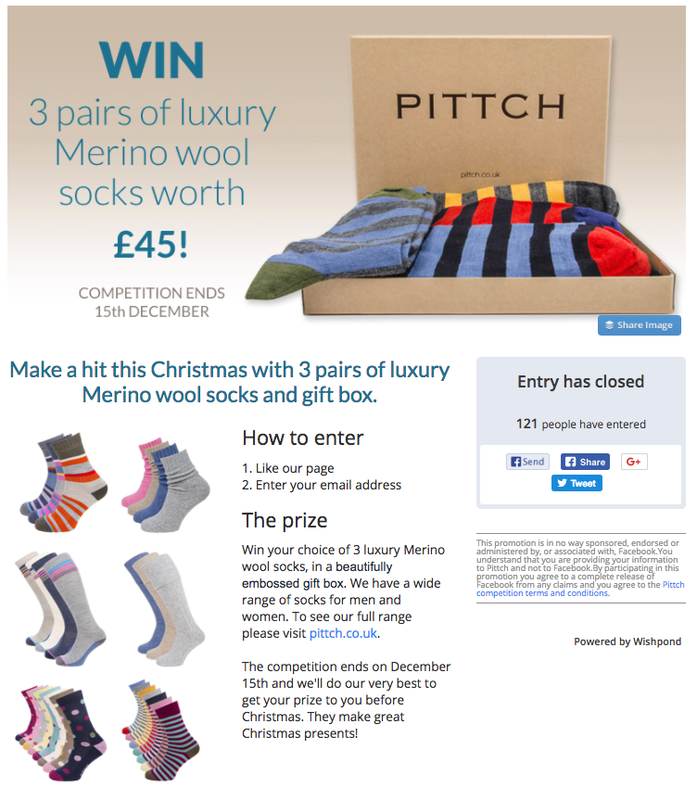 Show us your festive spirit and win! Enter now for a chance to win an Acme Deluxe Christmas tree and full decoration set, valued at $450! My recommendation for a contest like this one would be to have people submit videos of themselves singing carols or otherwise showing their spirit. User-generated submissions like this makes great content for social media. #9. Enter for a Chance to Win an Ugly Sweater Party Pack! Enter now for a chance to win Howe Brewery’s Ugly Sweater Party Pack! Get 6 amazing ugly Christmas sweaters, and 24 bottles of our seasonal cinnamon stout! Must be 21 or older to enter! #10. John Riviera’s Holiday Recipe-book Giveaway! John Riviera, in partnership with Chapter’s bookstore, is giving away 24 copies of his brand new holiday season recipe book. Enter and share every day to increase your chance to win! #11. Give the gift of warmth! Enter now for a chance to win the perfect gift for yourself or your loved ones: warmth! Prize package includes 4 pairs of thermal socks, wool scarves, mittens and more! #12. Gather the family this Christmas! 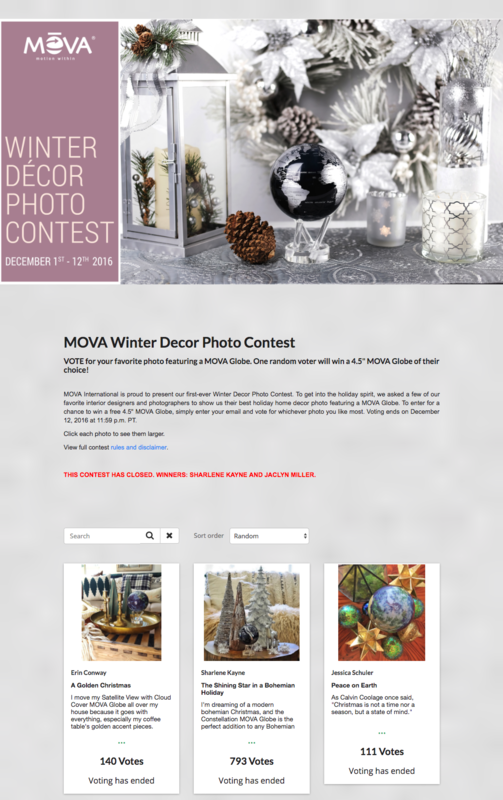 Now until December 15th, enter for a chance to win a complete holiday table setting, valued at $500! #13. Get snowy this Christmas! Enter today for a chance to win a day in the snow at Acme Peak. Choose one of two prize packages: sledding for the family or a dog sled excursion for two! #14. Enter for a Chance to Win a PS4 and Games! We’re partnering with indie gaming studio DarkGames to give away a PS4 Pro and early access to their breakout racing game, Clutterfield! Vote for your favorite photo featuring an [Your Product]. One random voter will win a [product] of their choice! For this Christmas contest you’ll have to go it alone! Enter for a chance to win the complete Christmas prize package! Get marshmallows, cocoa, 6 Christmas mugs, apple cider and gingerbread Bailey’s! #17. Christmas is about family! Enter today for a chance to win 1 of 10 Christmas puzzle and boardgame packages! When you’re running a Christmas contest giving away something of lower value (like a puzzle or boardgame), consider giving away 1 of 10. The lower value, with low perceived chance to win, will result in low conversion rates. Increase your conversion rates by increasing the perceived chance to win. Makes sense, right? #18. Enter for a Chance to Win Free Tickets to a Christmas Spectacular! 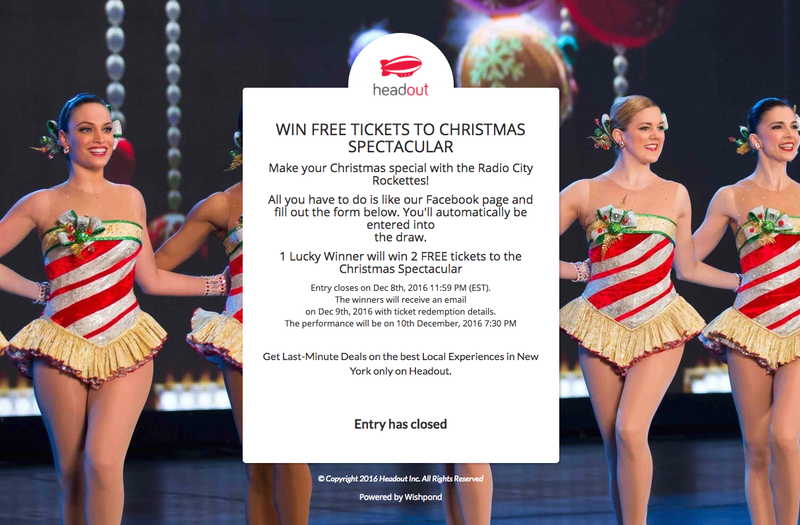 Make your Christmas special with the Radio City Rockettes! #19. Enter for a chance to win a 6-month gym membership and 5 free personal training sessions at AcmeFitness! Get a headstart on your New Year’s resolution! Enter today for a chance to win the complete fitness prize package! #20. Looking for the best gift (or a little something for yourself?) Enter for a chance to win an Acme Fitness Tracker! Enter for a chance to win an Acme Fitness tracker, Whole30 recipe book and $200 voucher to Whole Foods. Prizes valued at more than $400! #21. Enter for a chance to win 2 of 20 tickets to the best New Year’s party in Austin! Valued at $140, enter today for a chance to win 2 free tickets to the Subculture New Year’s party! Not every contest should be run as “win 1 of many,” as it can dilute the perceived value. However, when you give away tickets to an event, giving away multiple is a good idea. In this case, it’s worth it to increase the perceived chance to win. #22. Do you have a Christmas event coming up? Enter for a chance to win a fun and festive photobooth! Enter for a chance to win a 6-hour rental of our fun photobooth, including festive props and a professional on site! #23. Enter for a chance to win a surprise stocking prize pack! Valued at more than $200! Embrace the fun of Christmas morning by entering for a chance to win a surprise stocking prize pack, full of over a dozen Acme Gift products! #24. We’ll bring Christmas to you! 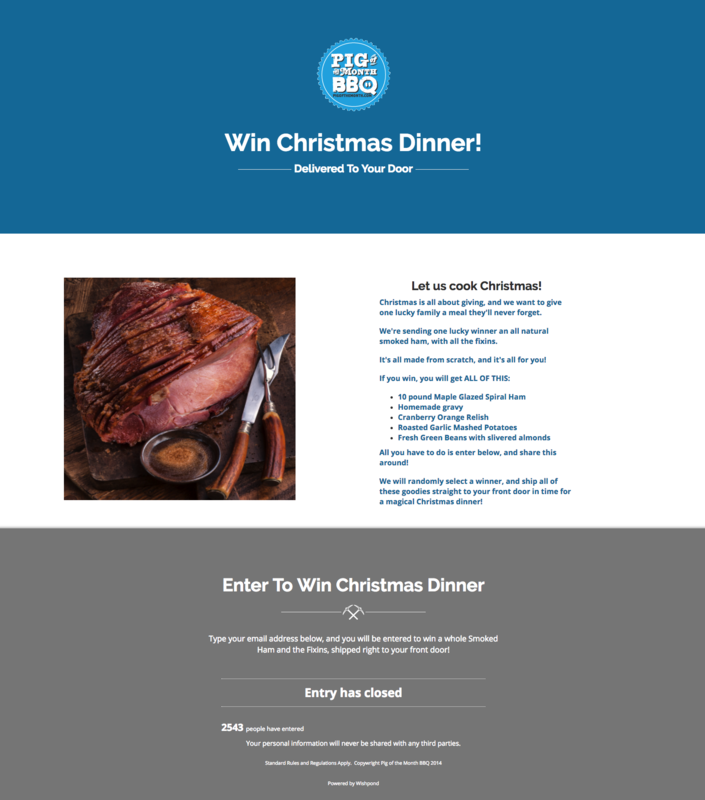 Enter for a chance to win a catered Christmas dinner! Christmas is all about giving, and we want to give one lucky family a meal they’ll never forget! #25. The Season of Giving: Enter for a Chance to Win a Christmas Shopping Spree! This would be a bonus entry contest in which people earned extra entries by sharing the promotion with their friends and family on social media and via email. #26. Enter for a Chance to Win a Christmas Cooking Class! Share your secret family recipe, and enter for a chance to win a Christmas cooking class, valued at $250! #27. Is your Car Ready for Winter? Don’t leave it to chance! Enter today for a chance to win a complete winterization treatment from Acme Cars! #28. 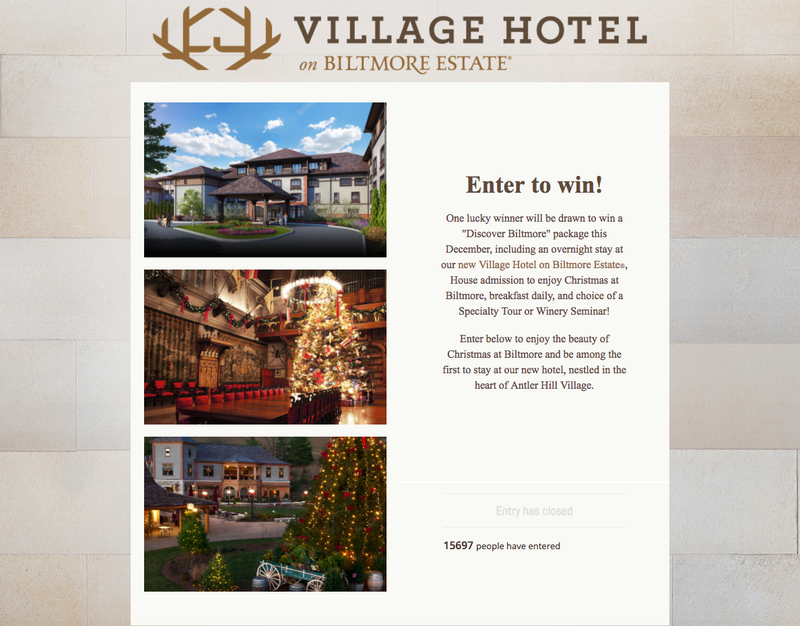 Enter for a Chance to Win a Christmas-oriented Hotel Stay for 2! Enter for a chance to win a cozy hotel stay for 2 at the Longview Resort and Spa! Tell us why you and your partner deserve a break this Christmas and win! #29. Get Cuddly This Christmas! Enter for a chance to win a Christmas children’s bed-set, pyjamas and snowman stuffed animal! Enter for a chance to win a Christmas family photoshoot! Submit your family’s most festive holiday photo, and encourage your friends and family to vote! Baking set – electronic mixer, whisks etc. I hope one (or more than one) of these Christmas contest ideas inspires your business to success this holiday season. Have you tried any of these strategies in previous years? What were your results? Get the conversation started in the comment section below!